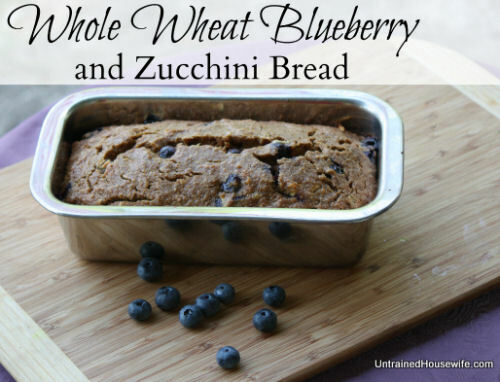 Fresh blueberries combined with zucchini shreds make this whole wheat bread a healthy and nutritious choice for breakfast, tea time or a snack. For directions on the recipe, please visit The Untrained Housewife. Thanks for submitting the recipe Angela!